Cuban Ambassador in Spain updates on tourism on the Island. 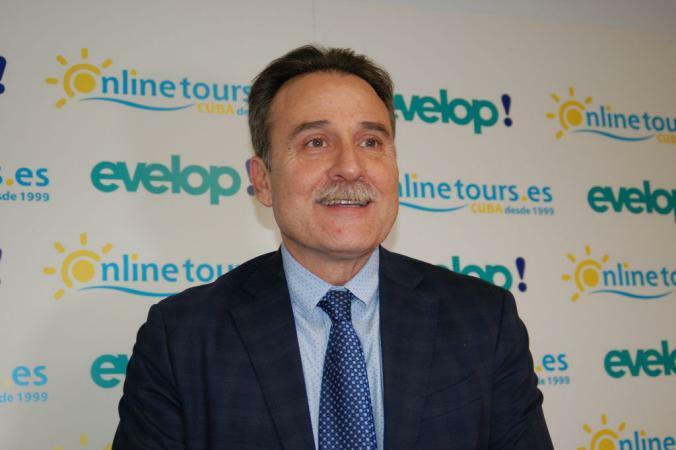 The ambassador of Cuba in Spain, Gustavo Machín Gómez, announced in an interview with Gaceta del Turismo, that so far this year a total of 155,904 Spanish tourists have visited the island. Next, we reproduce the interview made to the Cuban official of the Ministry of Foreign Affairs by the Spanish digital newspaper Gaceta del Turismo.Only in November the country visited 13 thousand 532 Spaniards, which represents a growth of 16.82% over the previous year. So far this year a total of 155 thousand 904 Spanish tourists have visited Cuba, reaching an increase of more than one hundred percent over the same period of 2017. Cuba is committed to increasing tourism and regarding the development plan and the extensive investment process that takes place in the country, the Ambassador emphasizes that this year will be completed more than 4 thousand 800 new rooms. In addition, in 2019, the construction of 32 more hotel facilities will culminate, which will involve 5 thousand 249 new rooms, currently in the process of being executed. Cuba expects to reach the figure of 4.7 million visitors by the end of 2018 and follow its growth rate year after year. On the other hand, Gustavo Machín refers to the importance of Cuba as a place for the development of events and incentives, a central theme of the international tourism fair FITCuba 2019, dedicated to Havana as the venue for the event, in the framework of the celebration of the 500th anniversary of its foundation. Coinciding with the celebration of the 500th anniversary of the founding of the city of Havana, what is the cultural or festive program that the tourist visiting the country can find? In the context of the celebration of the five centuries of the founding of the Villa de La Habana, the current capital of all Cubans, there is a plan to boost the recovery and restoration of spaces and emblematic sites of the Cuban capital for the enjoyment of national and foreign visitors. From last November to December 2019, this joint plan is executed with the Office of the Historian, the Government of the city and main ministries of the country. Within this, symbols of the city have been identified that are recognized for their history, architectural or cultural value, such as the Capitol, the Central Railway Station, the Cuatro Caminos Market, the Jardines de la Tropical, the Finca de los Monos , and important investments will be destined for its restoration; as well as in the Metropolitan Park of Havana, one of the green lungs of the capital, and the creation of the cultural corridor on the famous Calle Línea. Of course, visitors who come to the capital can meet and enjoy them. In parallel, numerous cultural activities or events will take place throughout the next year, celebrating this anniversary of the wonderful city of Havana. What activities will be carried out soon to promote Cuba as a destination for events and incentives in the Caribbean? The Ministry of Tourism is immersed in the preparations for the 39th edition of the International Tourism Fair, FITCuba 2019, which will be held from May 6 to 10 at the Morro Cabaña Historic Military Complex in Havana. FITCuba 2019, as expected, will be dedicated to Havana, as part of the program of actions for the 500th anniversary of the city, which will be in effect during 2019. Spain will be the guest country, as is obvious, and will be dedicated to the modality of events and incentives. This event, aimed primarily at the professional public, can also be visited by national and international tourists, since the site recreates spaces where you can appreciate gastronomy, crafts and cultural events, especially the weekend dedicated to the general public. The MITM AMERICAS (Meeting and Incentive Travel Market) will also be held, in its 23rd edition in October 2019, which repeats the destination for the fourth time, and will also be framed within the activities of the 500th anniversary, promoting Cuba as an excellent place of events and incentives in the Caribbean. Can we advance new products or tourist destinations by 2019? The relaunching of Havana as a Tourist Destination will be carried out and new tourism programs will be proposed, such as: HAVANA 500: a special program in Havana for two days, with visits to the main heritage sites of the Historic Center such as: the Capitol, the Gran Teatro de Havana Alicia Alonso, the Palace of the General Captains Museum, among other places of great interest that lead the visitor to the wonderful history of our city. You will also visit the modern part of Havana, where you can appreciate the diversity of architectural styles that coexist in the capital.